In a night filled with championship affairs and tournament finals, Tech-Krep Fighting Championship delivers with the inclusion of 23-year-old welterweight champion Yaroslav Amosov. 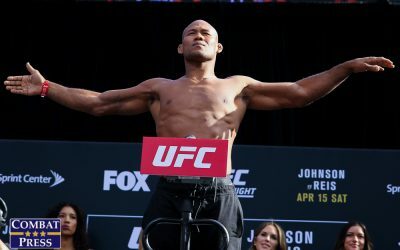 The Ukrainian titleholder is set to put his belt on the line against another Brazilian challenger after he defeated Diogo Cavalcanti in March. Amosov’s latest challenger is the undefeated Nathan Oliveira. Amosov’s tender age makes his 18-fight run all the more impressive. The “Dynamo” kicked things off in 2012 with the first of nine straight stoppage victories. He didn’t go the distance until his 10th fight, his Tech-Krep debut against Oleg Olenyechev. He added another streak of six straight finishes after taking the nod over Olenyechev. Then, he fought to a split verdict against Roberto Soldic for the Tech-Krep welterweight title. An injury prevented Amosov from defending his belt in October, but he returned to defeat Cavalcanti in March. 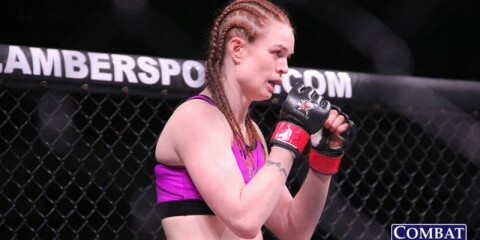 Overall, the Germes fighter has eight finishes via strikes and eight submission victories. He has a combat sambo base and has won a Ukrainian combat sambo championship, but his skills are still very raw in the MMA realm. He’s aggressive and hangs in the pocket even when he’s getting hit, which makes him a tough opponent for any man. Oliveira has a far shorter resume. “Shogun” kicked off his professional career in late 2015 with a submission victory over Claudio Junior. He added two knockouts in 2016. His most recent outing came in April, when he added a third knockout to his record with a finish of Andre Morais. The Pequeno Team and AW Wrestling product has never been out of the first round as a pro. Despite Amosov’s age, he enters this showdown as a far more experienced fighter. The Ukrainian hasn’t seen many seasoned vets yet, but he has sent everyone packing, and often via a finish. Oliveira also has proven finishing abilities. Yet, it’s the Brazilian’s lack of experience that is most troubling against an aggressive prospect like Amosov. Oliveira is fighting outside of his native Brazil for the first time, which only adds to the hurdles he must face in this affair. Amosov is perhaps one of the best up-and-comers out there, and he’s not going to suffer his first loss to someone as green as Oliveira. Given the finishing ability of both men, we can expect this fight to end before the final bell. It’s a coin toss as to whether Amosov goes for a submission or knocks out his foe, but Oliveira’s striking tendencies might just lead to a stand-up war that ends with another KO on Amosov’s resume. 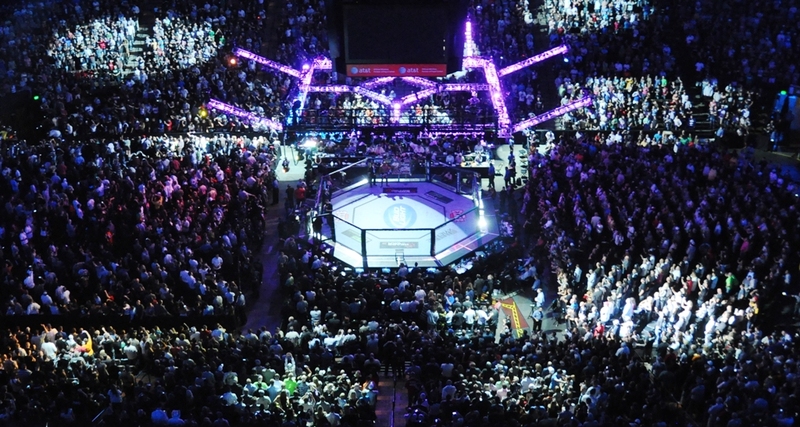 EFC Worldwide’s 62nd effort is filled with title affairs. Yannick Bahati and Dricus Du Plessis will duke it out for the league’s middleweight title. Igeu Kabesa and Pierre Botha vie for featherweight gold, too. However, the best title affair arguably takes place in the flyweight division, where champion Nkazimulo Zulu puts his belt on the line against Sylvester Chipfumbu. 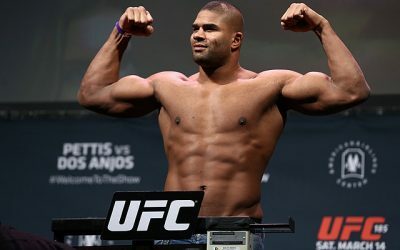 The 27-year-old champion is a product of the Tapout Academy. 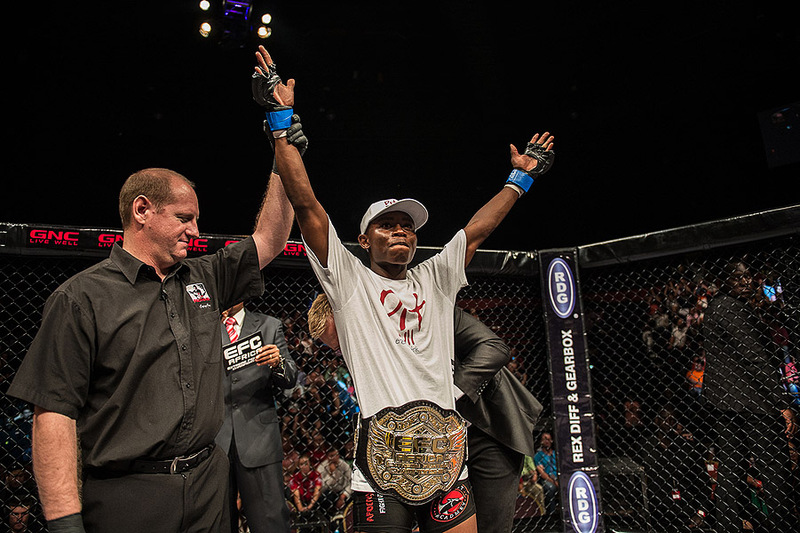 “Zulu Boy” made his professional debut in 2013 and went 1-1 through his first two outings, including a loss in his EFC Africa debut. The 5-foot-5 fighter rebounded from the loss to pick up three wins and a split draw over his next four fights, including three EFC Africa bouts. 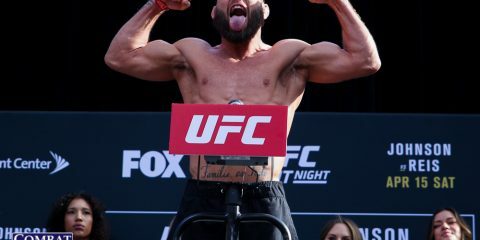 It was enough to earn him a spot in a fight for the vacant EFC Africa 135-pound crown, which he won in February 2014 with a first-round TKO finish of Charlie Weyer. Zulu dropped the belt in his very next bout against Demarte Pena. He moved to the flyweight division and decisioned Francois Groenewald before snagging the EFC Worldwide flyweight crown with a first-round finish of Craig Ninow. Zulu started training in Kyokushin karate at the age of six and was the 2008 tri-nation champion. Soon after, he left karate behind for the world of Muay Thai and K-1 kickboxing. He rose to a high level in K-1 before moving on to MMA in 2010. His grappling game is still a work in progress, but he has claimed two victories by way of submission. He is extremely dangerous on his feet, where he has scored four wins by some form of knockout. After rising through the amateur ranks as a featherweight and then a bantamweight, Chipfumbu turned pro in 2016. His debut came in the bantamweight division, where he stopped Pieter De Klerk by way of strikes in the first round. 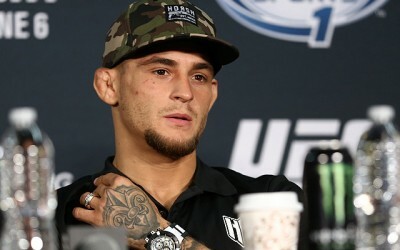 He took decisions in his next two bouts, including his flyweight debut, but both fights came against sub-.500 fighters. In fact, Chipfumbu’s first pro fight against a fighter who had more victories than defeats came in his most recent effort against Abdul Hassan, who entered the bout at just one fight above the .500 mark. The “Gladiator” dispatched of Hassan via strikes in the second round. The level of Chipfumbu’s opposition stands as a glaring red flag as he heads into this bout with Zulu. The champ was hospitalized early this year when he was struck by a car while completing his morning run, and this will be his first fight back. There’s always the chance that the accident has changed Zulu as a fighter. The champ has been out of commission since 2015, but part of that layoff had to do with his participation in TUF 24. It would be a massive upset if Chipfumbu ripped the title from Zulu’s clutches. This should be a bout where Zulu gets to school his opponent in the striking arts. It might not end in a knockout — Zulu might want to implement a conservative game plan — but it should end with Zulu’s hand raised in victory. The 289th edition of Pancrase features several recognizable names, including flyweight legend Mamoru Yamaguchi, and a lot of emerging talent for the region. However, this card could have been even bigger. Featherweight Isao Kobayashi was set to meet UFC veteran and fellow Bellator castoff Nazareno Malegarie. 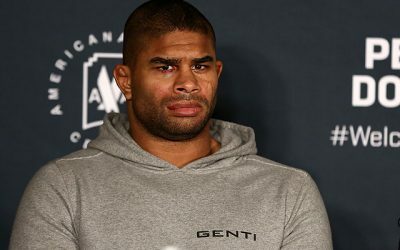 However, the Brazilian injured his knee, leaving the door open for Kyle Aguon to clash with the aforementioned Japanese star. Kobayashi launched his pro career in 2008 as a 19-year-old. He won the 2009 Pancrase Neo-Blood lightweight tourney and the 2011 Pancrase Lightweight Grand Prix. The Sakaguchi Dojo product compiled a 15-1-4 record as a lightweight, capturing the lightweight King of Pancrase crown along the way, before his tumultuous run in the featherweight division. 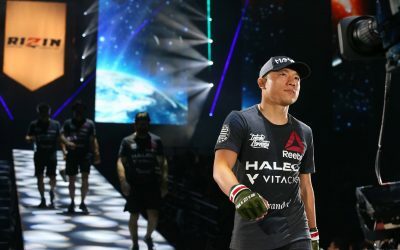 The southpaw’s stint as a 145-pounder started off strong enough with a win over Takeshi Inoue, but Kobayashi stumbled against three of his next five opponents, including two under the Bellator banner, to bring his featherweight mark to a mediocre 3-3. The judoka returned to lightweight with Vale Tudo Japan for a bout against Yutaka Saito and emerged with a split-decision nod. Kobayashi then returned to the featherweight division under the Pancrase banner and defeated Hiroyuki Takaya and Marko Burušić. With a 10-6 overall mark, Guam’s Aguon might not seem like a big threat, but his record requires a little more exploration. His pro debut in 2008 came against future UFC fighter Jon Delos Reyes, and Aguon won the fight via decision. His next win came in 2010 against future ONE Championship fighter Josh Alvarez. 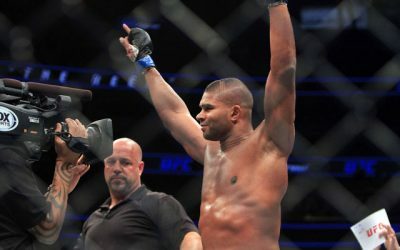 Several fights later, in 2013, he clashed with future UFC fighter Russell Doane and emerged with a split-decision nod. Next, he went a full five rounds in a failed title bid against future UFCer Michinori Tanaka. He eventually won the Pacific X-treme Combat bantamweight title, but he turned around and lost it to future UFC fighter Kwan Ho Kwak in a fight that went the distance. Meanwhile, his first three losses and his most recent defeat against Trevin Jones came against decent competition, but nobody who could be considered a true prospect. In 2014, following the loss to Tanaka in 2013, Aguon put together a three-fight winning streak and claimed the PXC bantamweight crown with a controversial win in the first of back-to-back meetings with Rolando Dy. Both of his fights with Dy ended in split decisions, giving Aguon three career victories and one career loss by way of a split verdict. Kobayashi tends to victimize his opponents with his fists en route to knockout and TKO victories. 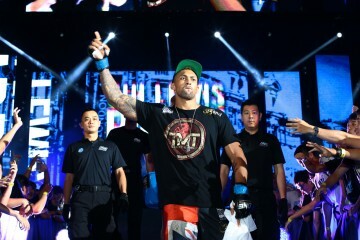 His career highlights include a victory over former ONE FC featherweight champion Koji Oishi, a draw against UFC veteran Jorge Patino and decision wins over Marlon Sandro and Will Chope. 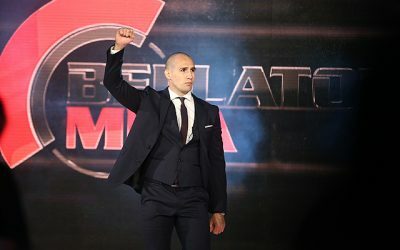 He did suffer losses to Kazunori Yokota under the Deep banner and Goiti Yamauchi and Justin Lawrence in the Bellator cage. The star prospect has fared much better as a lightweight, though. Yet, he’s facing Aguon as a featherweight. Aguon is a real enigma. He has topped fighters who go on to the big leagues, but he loses to fighters who can’t climb above the regional level. Kobayashi’s own lack of success while competing as a featherweight throws this fight into more perilous waters. At lightweight, we could expect Kobayashi to steamroll the likes of Aguon. At featherweight, it might be a little more difficult. However, while Kobayashi is stepping down in weight, Aguon is competing up a weight class from his usual home at 135 pounds. This is the best of both worlds for Kobayashi. Aguon has not been stopped, so a finish might be beyond Kobayashi’s grasp. That doesn’t mean the Japanese fighter won’t dominate, however. This should be an easy decision win for Kobayashi.